A Vital Flight Path for a Variety of Wild Birds. You can observe a wide variety of wild birds in this region. Sea eagles and Steller’s sea eagles frequent the coast; migratory birds such as Japanese cranes, bean geese and white-fronted geese rest their wings in the marshes of the Sarobetsu Wilderness. 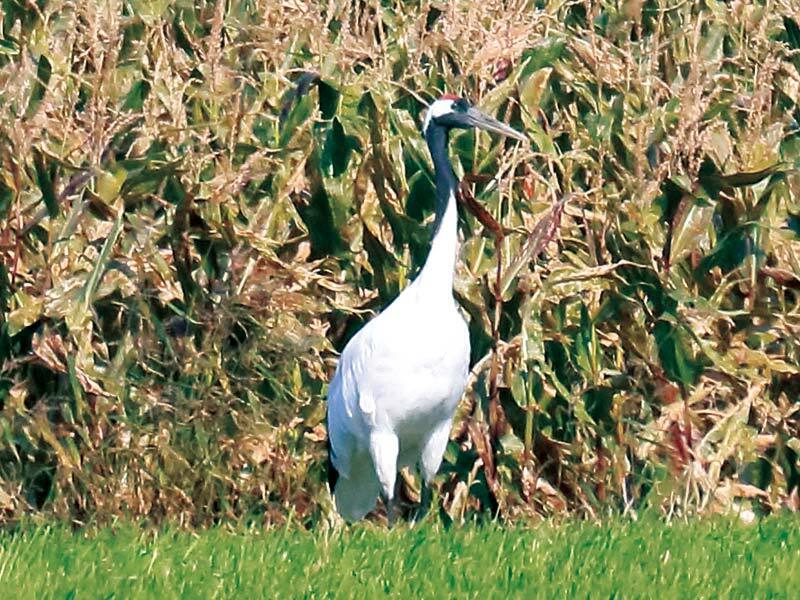 Japanese cranes were first seen in the Sarobetsu Wilderness about 10 years ago. In the fall, they venture out from the wilderness and into the pastures. Their distinctive features are their white bodies, the black feathers around their eyes, throats, necks and tails, and the patch of red atop their heads. They are summer birds. Teshio island is host to 400,000 pairs of Rhinoeros auklet, or 800,000 birds, which makes this the largest breeding grounds for this bird in the world. As the sun sets on evenings in May through July you can observe parents bringing food to their nesting chicks. The sight of a sky darkened with massive numbers of birds is truly one which should not be missed. A solid black body, white “spectacled” eyes and red feet are the distinctive features of this bird. 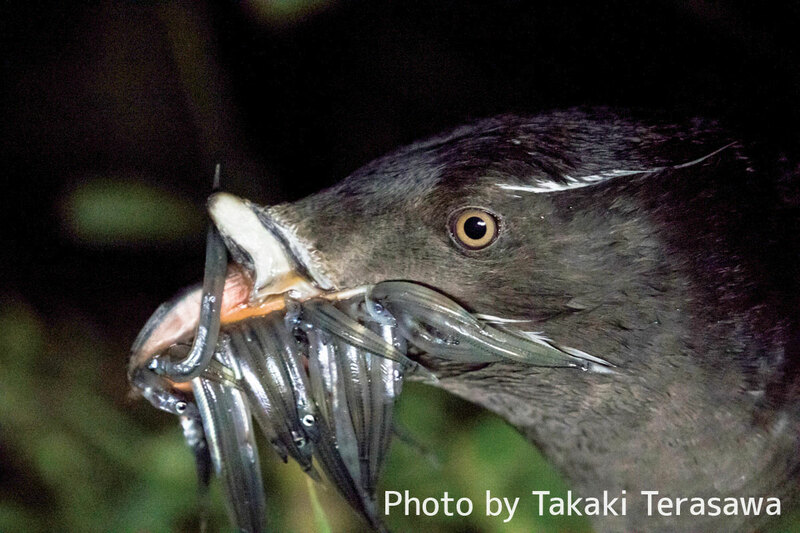 650 birds inhabit Teuri island, making it the largest breeding ground for this species in Japan. 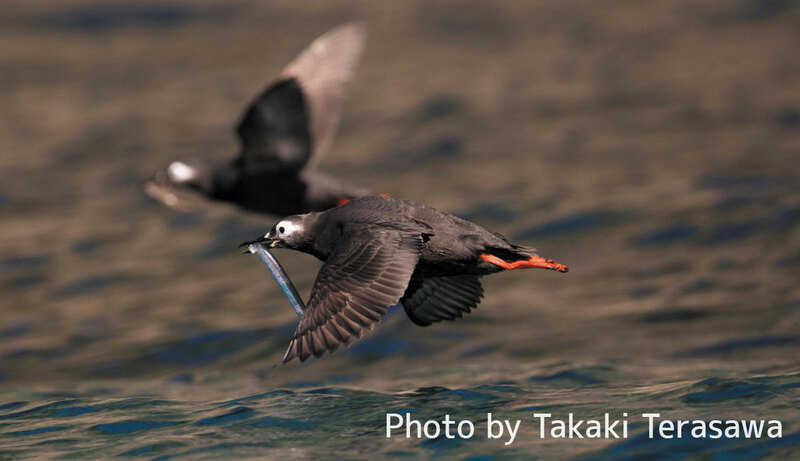 This is a rare bird which is not seen anywhere else in the world, the main population is distributed between the coastal areas of Hokkaido and Okhotsk. The sight of them swooping from the cliffs to the sea is an impressive one. 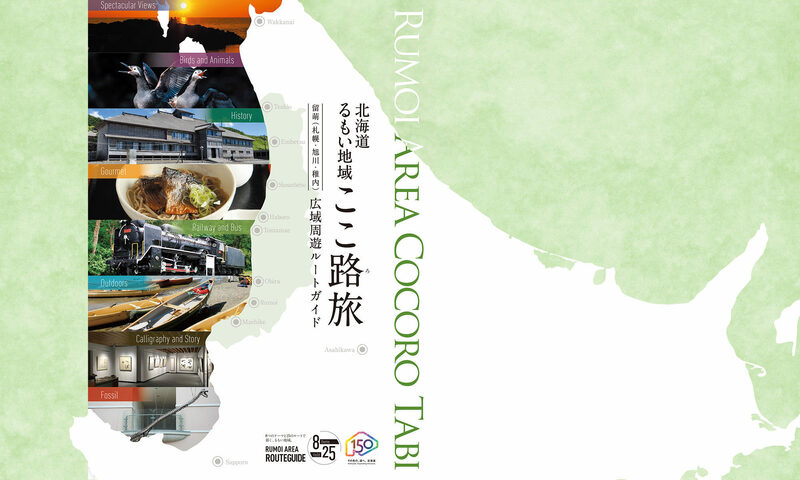 Teuri island is the only breeding ground in Japan for this bird. The nickname “Ororon” originated from the unique sound of their call. 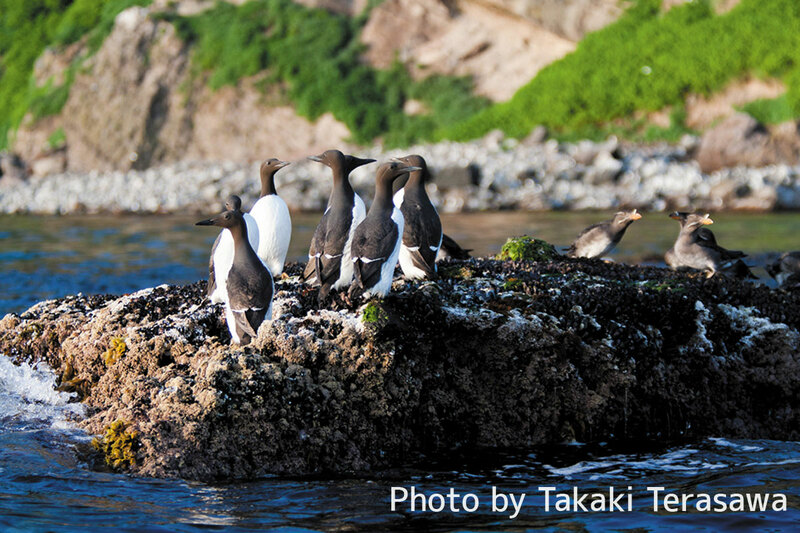 The population was once nearly extinct and dropped to a mere 10 birds, but thanks to preservation tactics involving murre decoys and call recordings, the numbers are now around 30 and about 10 chicks leave their nests every year. 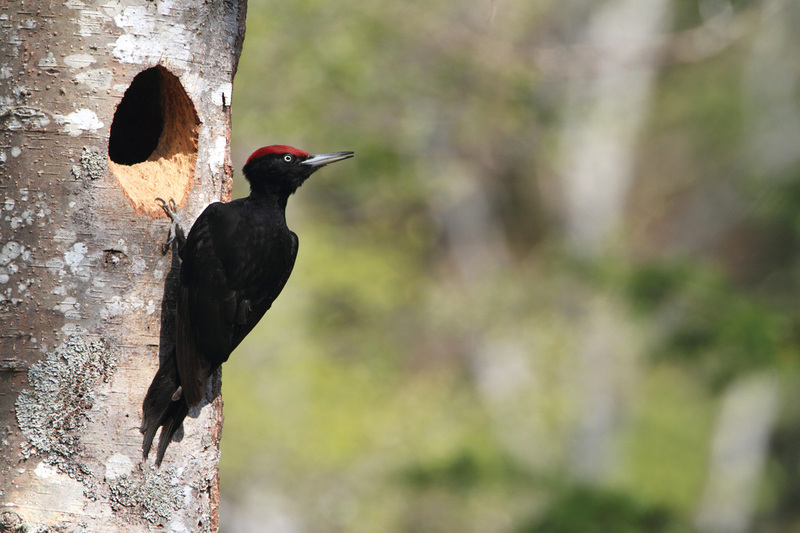 This bird is the largest species of woodpecker and inhabits the area surrounding Lake Shumarinai. It is completely black but for the red mark on its head. The drumming sound of its pecking is relatively slow and low. Woodpeckers are resident birds.